Ok! I'm "in" with a Nightstand post this month! I remembered! *fist pump* I keep forgetting until I decide that it's really too late to jump in and participate but this month I (sort of) have my act together. I also read The Green Ember (and I strongly believe that everyone else ought to do the same). I feel like I've been reading a bit too much non-fiction of late and am rather eager to dive into some fun fiction. I also really feel like I've been lacking re-reads in my diet of late. I like hearing new stories, of course, but I also miss visiting with some of my old friends and I'd like to catch up with them and soon! The complete Anne of Green Gables series . Yes, all of them. In a row. And that would probably fill up my entire reading month in a nice and tidy way. I just really miss Anne and would love a visit!! 1. 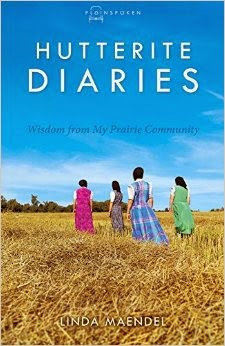 The first is Hutterite Diaries: Wisdom from My Prairie Community . I'm just too curious. 2. 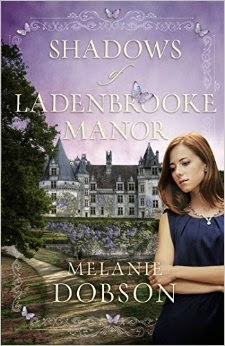 The second is Melanie Dobson's newest title, Shadows of Ladenbrooke Manor . I've read two other titles by Dobson and enjoyed them both so when I was offered a chance at this one, I leapt on it. We shall see! 3. 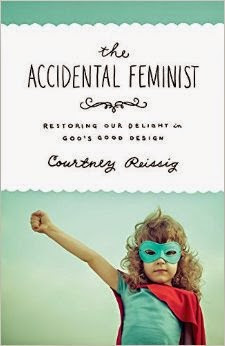 The third is likely to raise eyebrows and that is: The Accidental Feminist: Restoring Our Delight in God's Good Design . I just have to. The above three titles will be read and we'll just see how much Anne I can squeeze in. The urge grows stronger to fellowship with her every day. Many thanks to the nice ladies at 5 Minutes for Books for hosting What's On Your Nightstand each and every month. 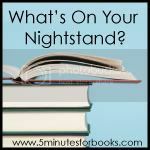 Visit 5 Minutes for Books to link up your own nightstand posts and also to see what others are planning to read. I eagerly await your opinion of The Accidental Feminist. ;) Have fun with Anne! You know, I have never read Anne. I feel like I should at some point, but the pull of other books is always great. I have seen the movies, so I have a little idea of the story. Of course, it's been so long they are a hazy memory at this point. Ah, Anne. It's been far too long since I've reread the whole series! I know what you mean about needing fiction after having too much non-fiction. I'll be curious to read your response to Accidental Feminist. :-) I don't know anything about it, but that one word always stirs up various responses and feelings. The Hutterite books sounds interesting, too. I haven't read anything by Dobson yet and should probably give her a try. I'm just TOO curious about your review books. Thank goodness you HAVE to give comments on them! I understand the desire to go back and visit familiar old friends - I enjoyed doing that with Laura Ingalls Wilder's Pioneer Girl a couple weeks ago (despite being a book I hadn't read before, it was still a visit with an old friend). The Green Ember quickly became a favorite here. Accidental Feminist...can't wait to hear your thoughts. My girls would agree...a visit with Anne is a good thing. Those look like some great titles. I keep hearing such good things about The Green Ember - I was so excited to see that my library has a copy on order (on to the reading list it goes!). I bought Watching the English when I visited London. It's a fun book, and I can see how it would work well to read it in spurts. Hope you enjoy it! 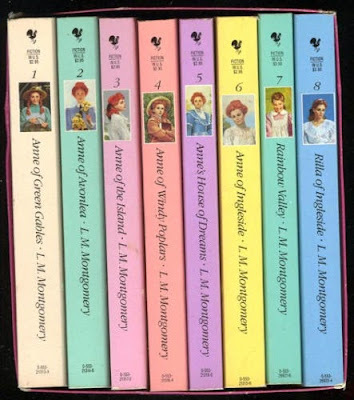 I have that same Anne set and I hope to get to it soon! The Hutterite book looks interesting. We live in an area that has many Hutterite communities and we've known some personally and called them friends and have also known Hutterites who have left the community too. I take a LONG time to read LMM books. At least 3 weeks each for Anne titles, I think. But YOU can do it!